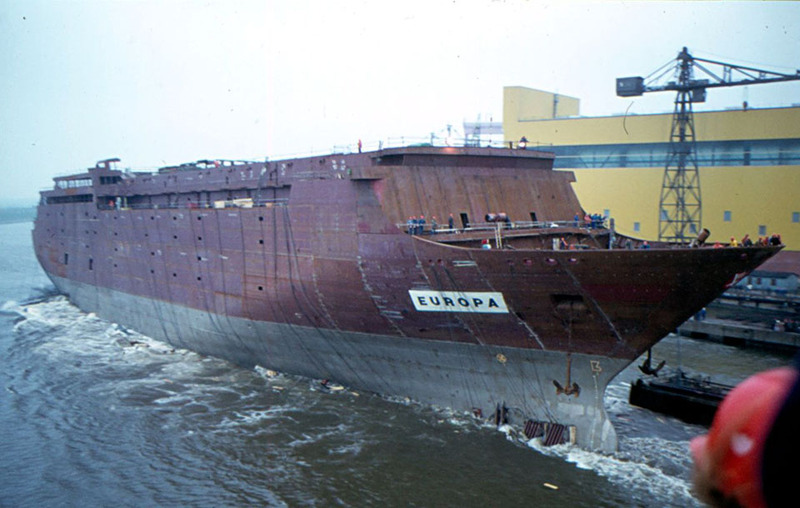 April 1st 1980: Keel laid. September 25th 1981: First sea trials. 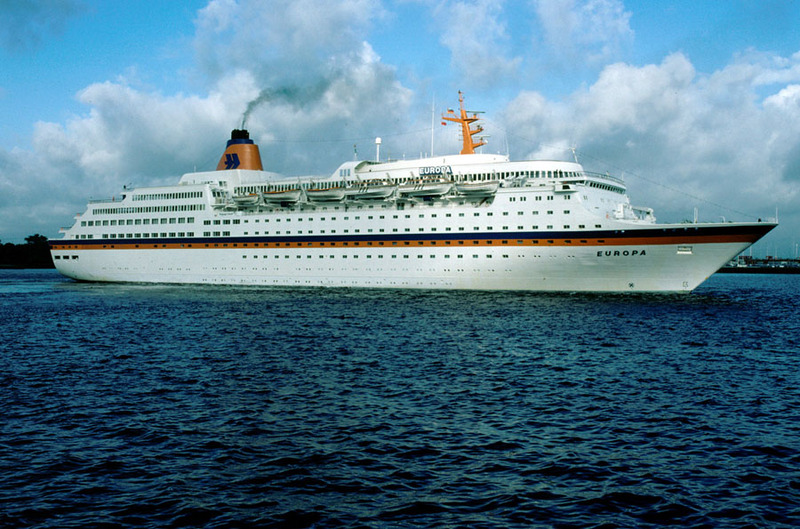 December 6th 1981: Delivered to Hapag-Lloyd AG, Bremen, Germany. 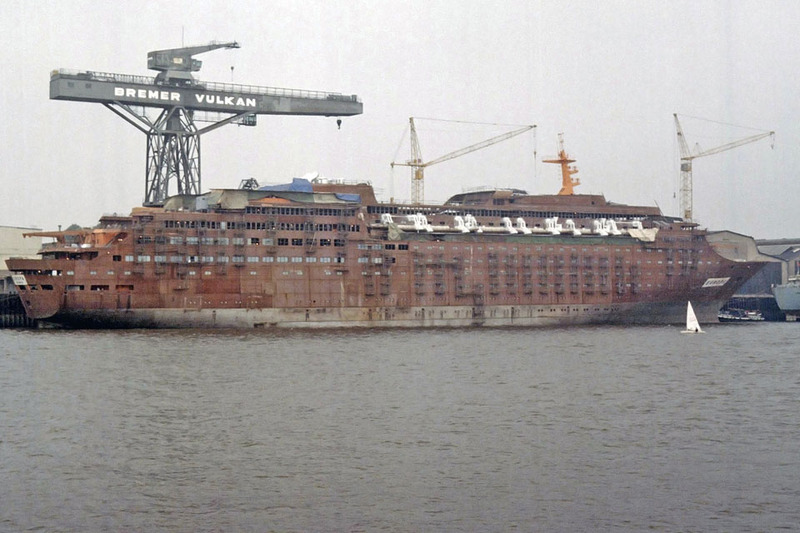 December 28th 1981: Positioning voyage without passengers, Bremerhaven – Genoa. 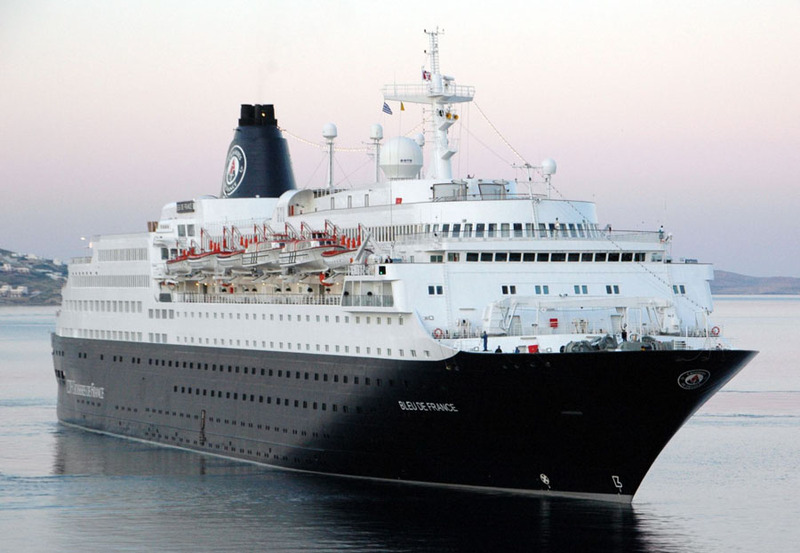 January 8th 1982: Maiden voyage from Genoa to Africa, then cruising around the world. April 30th 1992: East of Hong Kong collided with the Greek container ship INCHON GLORY. Towed to Kaohsiung, Taiwan where passengers disembarked. 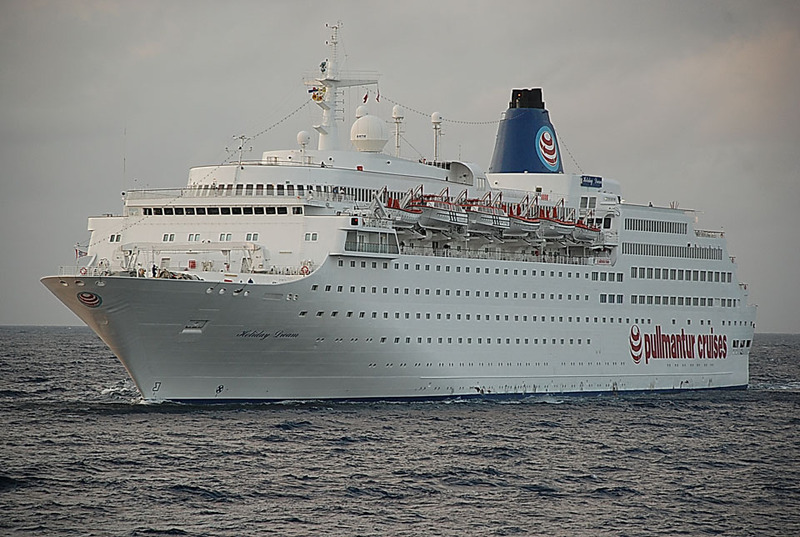 July 7th 1992: After repair in Singapore, returned to cruising. 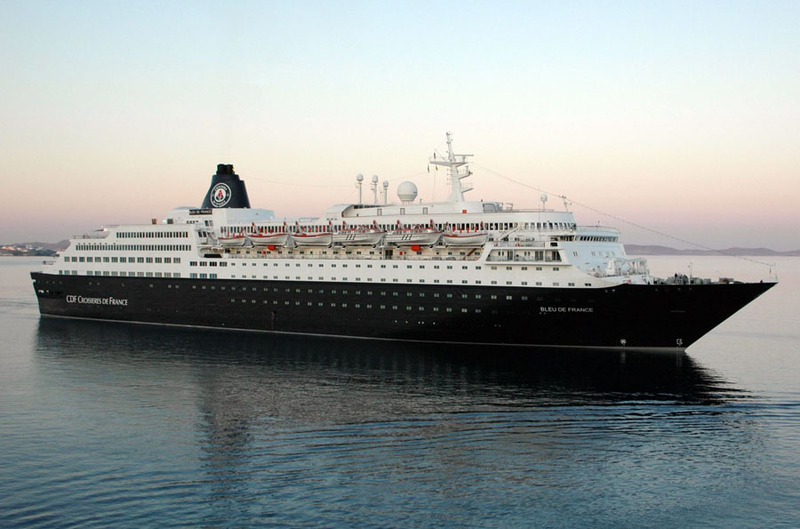 April 5th 1998: Sold to Star Cruises, Nassau, Bahamas. 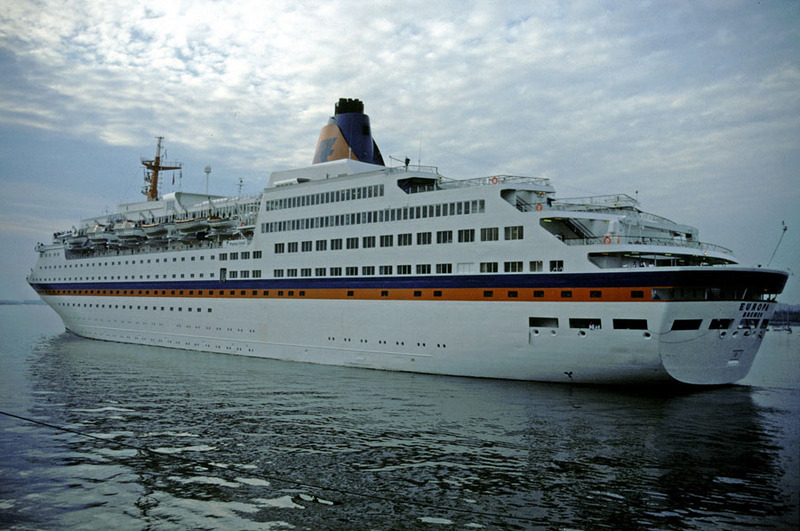 Chartered out to Hapag-Lloyd until 1999. 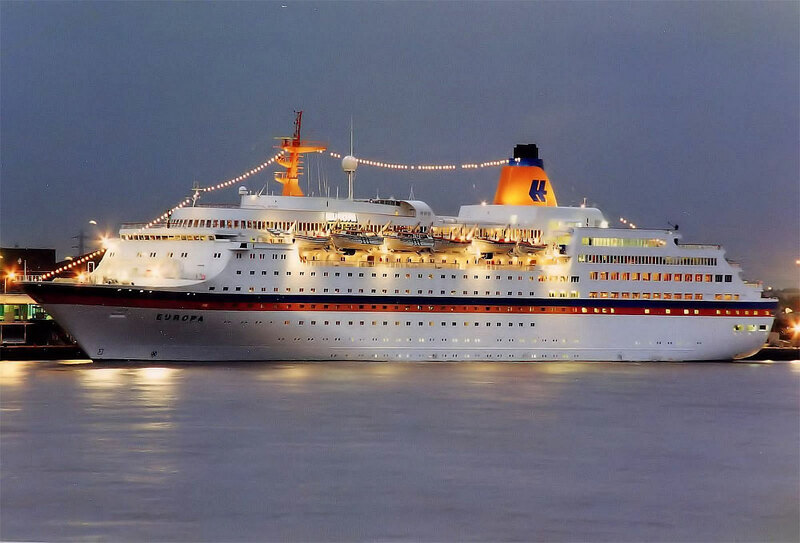 June 30th 1999: Arrived in Hamburg after final cruise for Hapag-Lloyd. July 1st 1999: Renamed SUPERSTAR EUROPE. July 31st 1999: Arrived at Sembawang yard in Singapore for more than $15 million rebuild. October 24th 1999: Relocation cruise from Singapore to Laem Chabang. 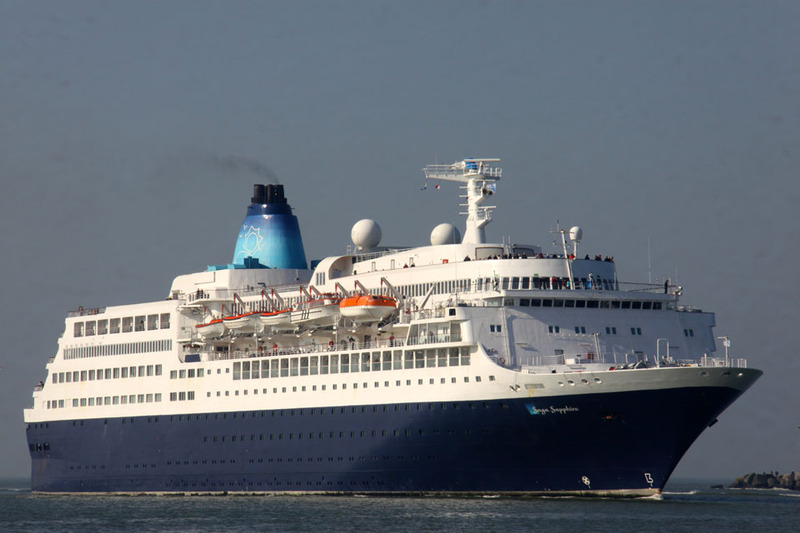 October 1st 1999: Inaugural cruise from Laem Chabang. February 2000: Renamed SUPERSTAR ARIES. 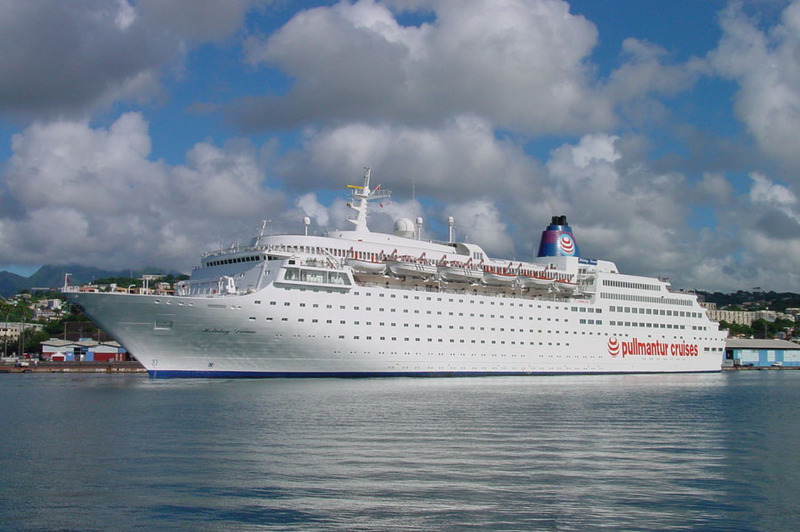 March 2004: Sold to Club Vacaciones, Nassau, Bahamas and renamed HOLIDAY DREAM. 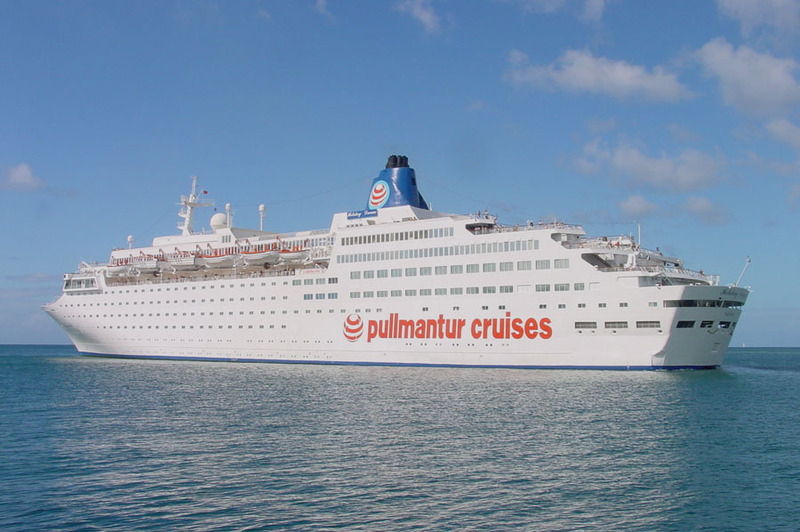 2004: Began cruising for Pullmantur Ship Investment, Madrid. 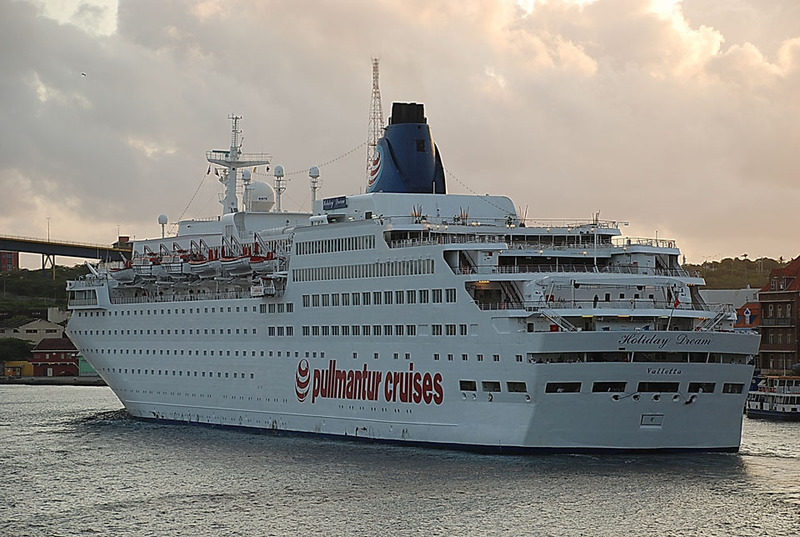 June 2006: Registered to Pullmantur Cruises Holiday Dream Ltd., Valletta, Malta. 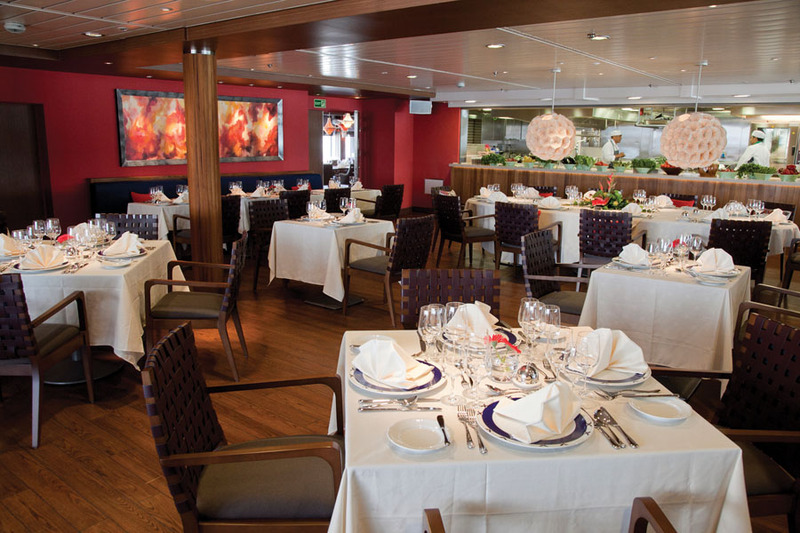 May 2008: Registered to CdF Bleu De France Ltd, Valletta, Malta. 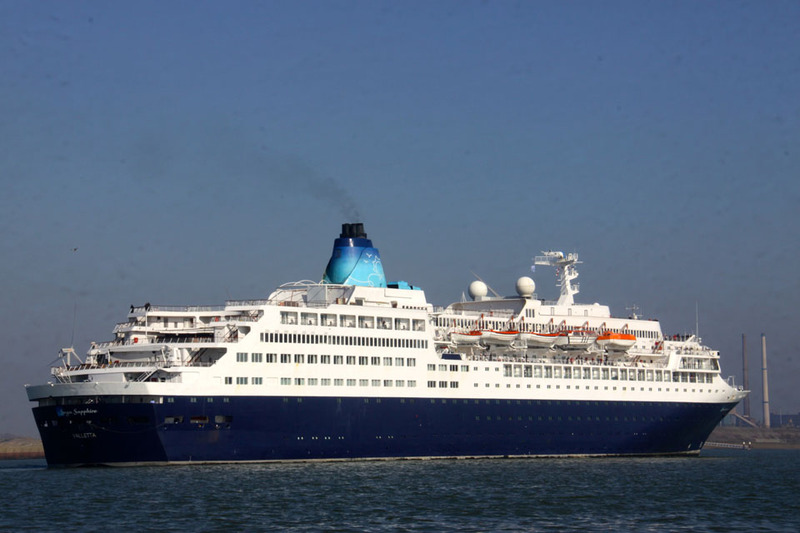 Renamed BLEU DE FRANCE. November 2009: Sold to unknown shipping company. 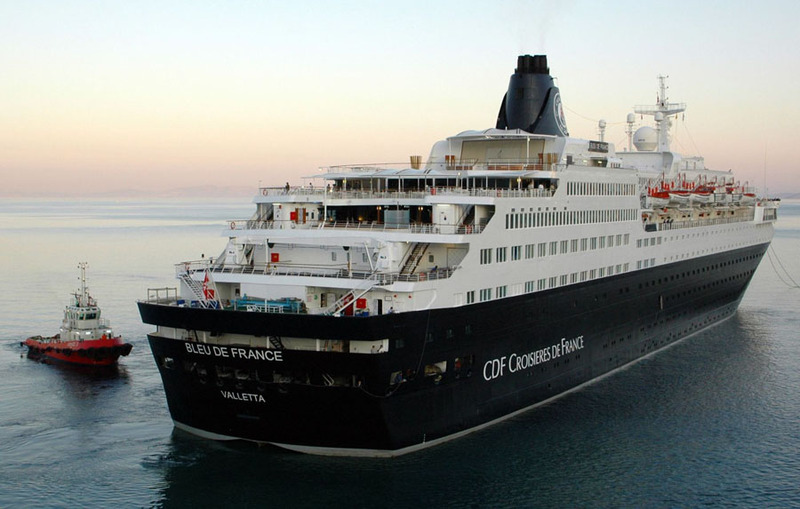 October 23rd 2011: At Marseilles, completed her final CdF cruise. 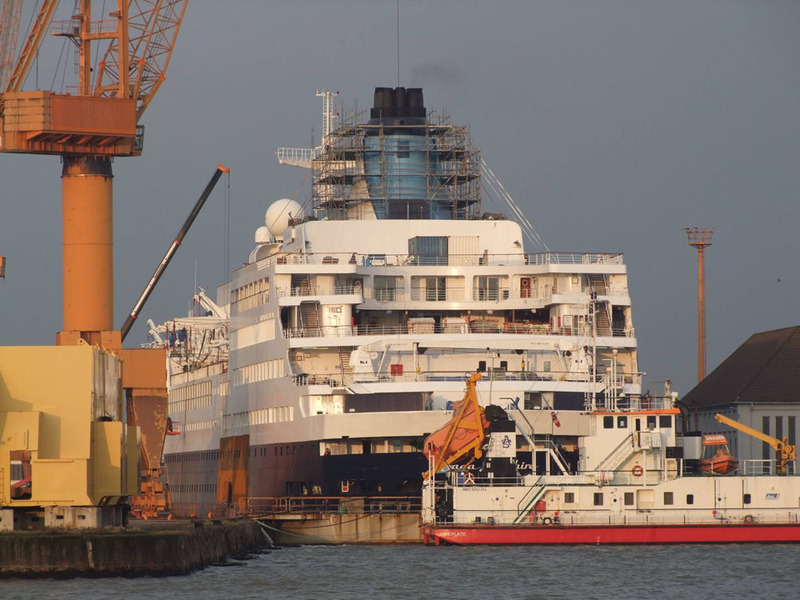 November 2011: Arrived at lay-by berth Palermo for rebuild/refurbishment Fincantieri Palermo yard. 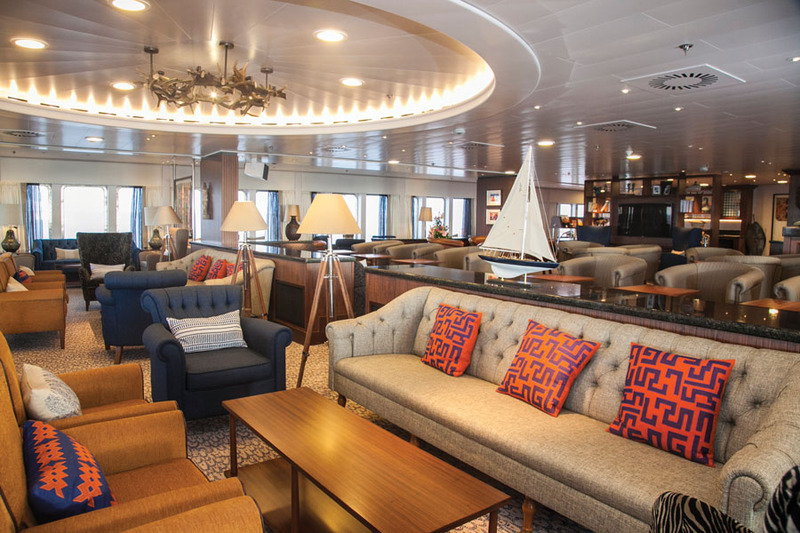 Work to include the refurbishing of all public areas and spaces, the addition of a significant number of new passenger cabins, the complete refurbishment of the existing cabins and a new balcony deck. 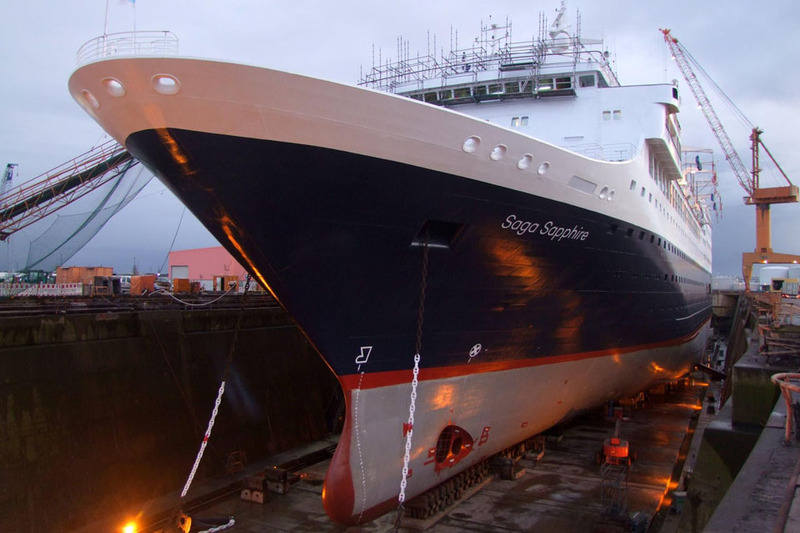 December 20th 2011: Entered dry-dock during which time items involving the external hull and all underwater work, such as painting and tailshaft, rudder and propeller maintenance to be undertaken. 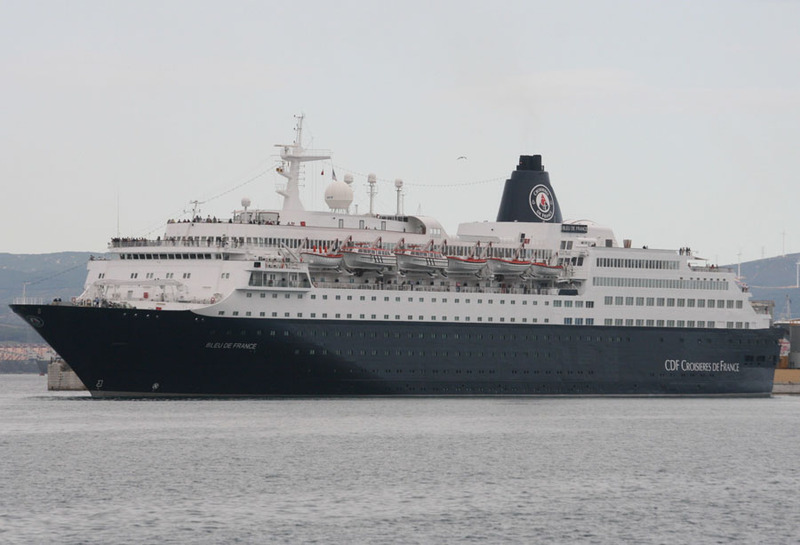 January 28th 2012: Returned to lay-by berth. 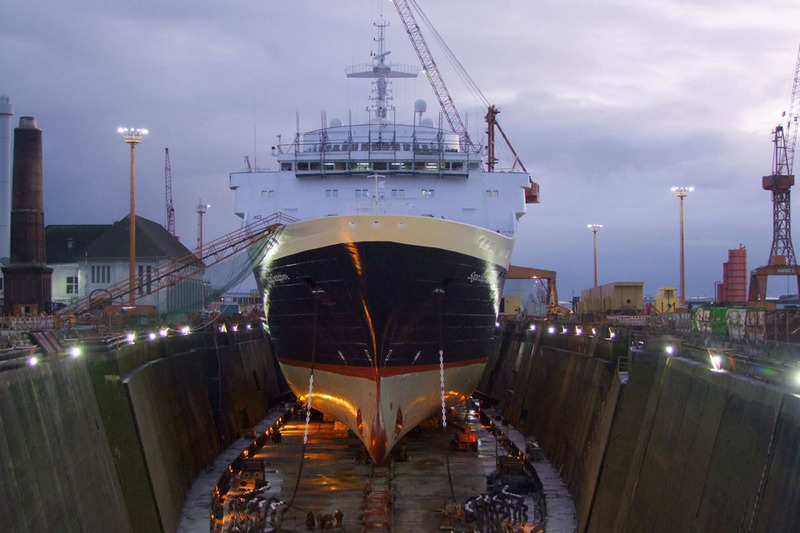 January 29th 2012: Returned to dry-dock. 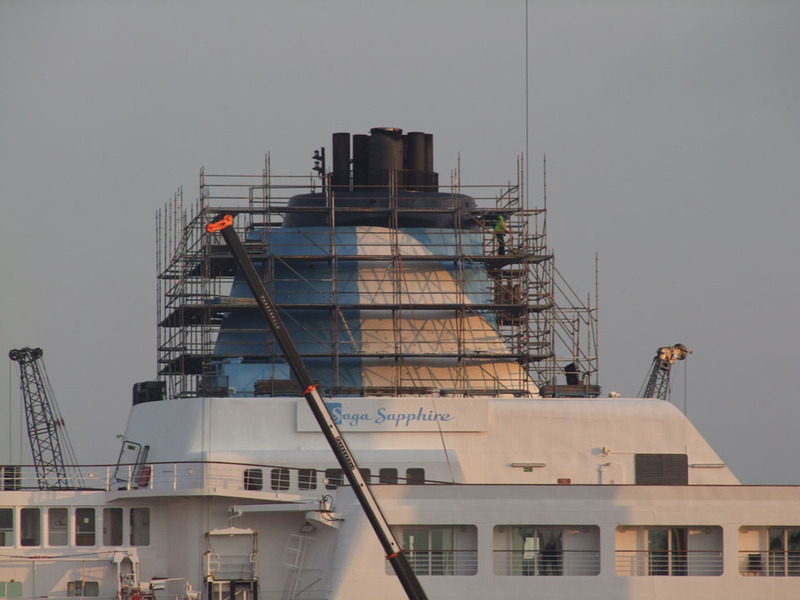 February 2012:On completion of the work, the ship will be renamed the ‘Saga Sapphire’ and then shall set sail for the inaugural cruise from Southampton to the Mediterranean, which is due to start on March 26th 2012. 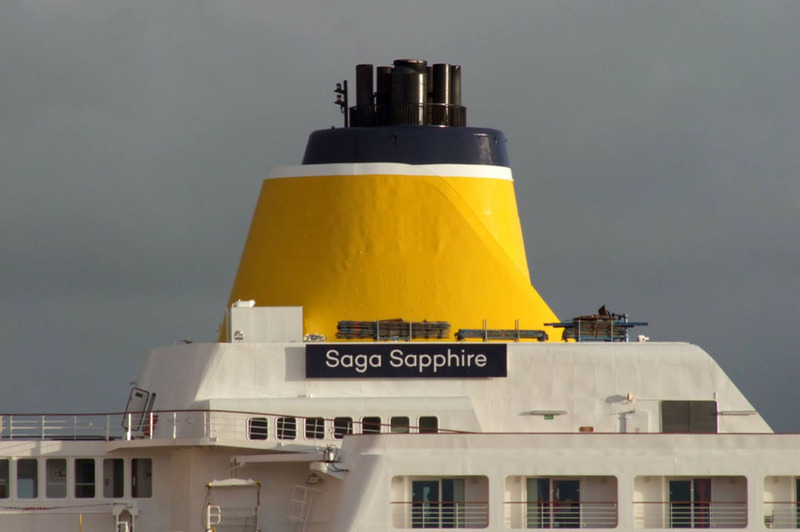 February 7th 2012: Officially renamed SAGA SAPPHIRE. 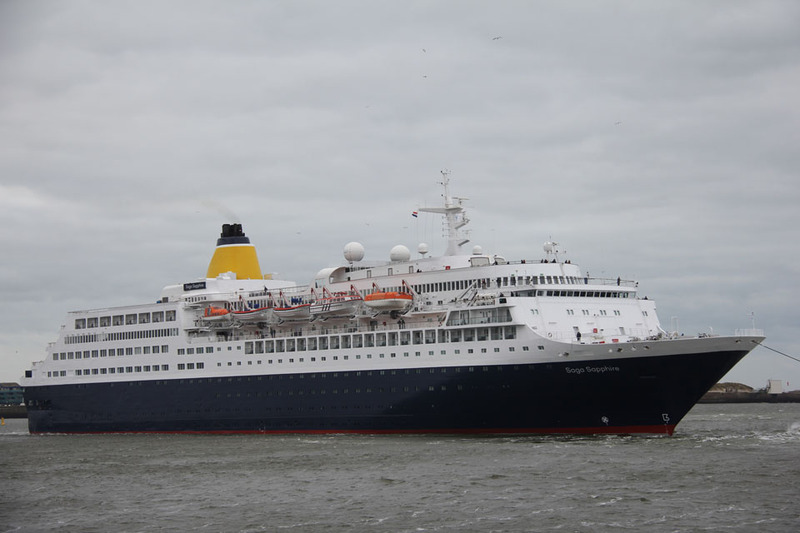 February 19th 2012: Returned to lay-by berth. March 19th 201 2: Left Palermo. 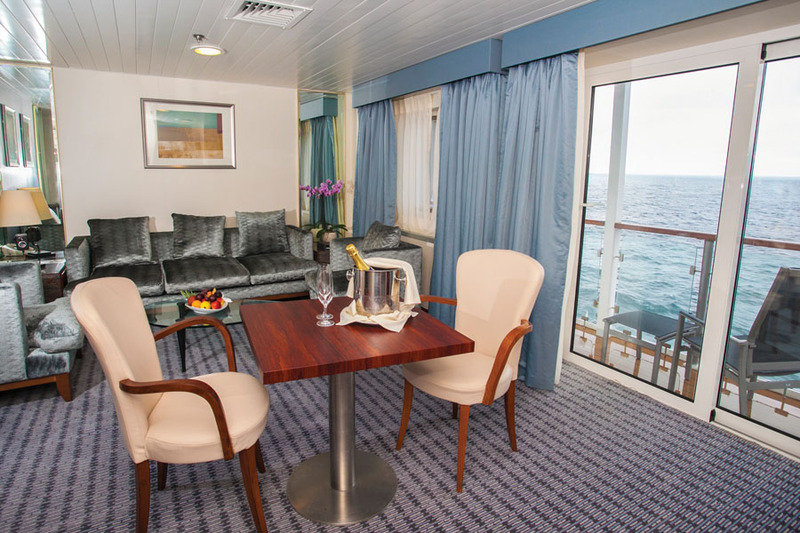 March 26th 2012: Arrived in Southampton. 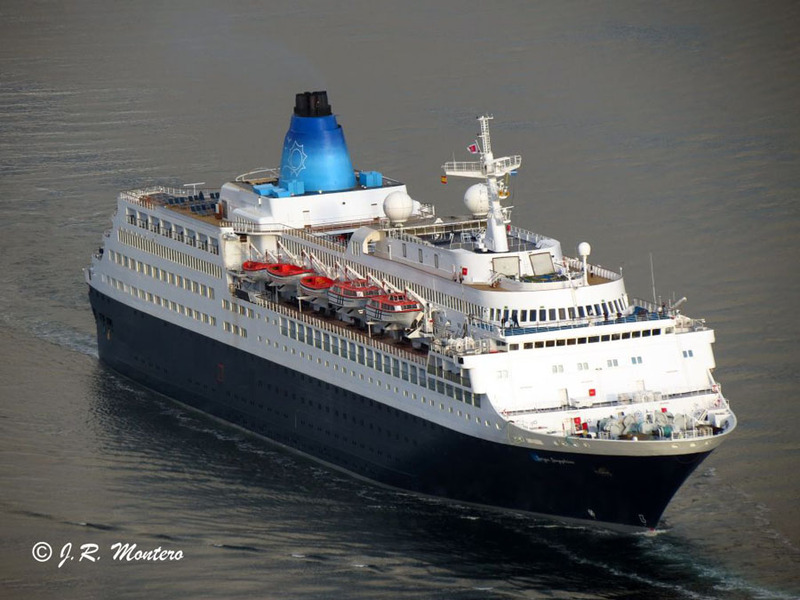 April 13th 2012: The cruise had to be curtailed unexpectedly at Valencia, when a fault developed in the cooling system of one of the engines. 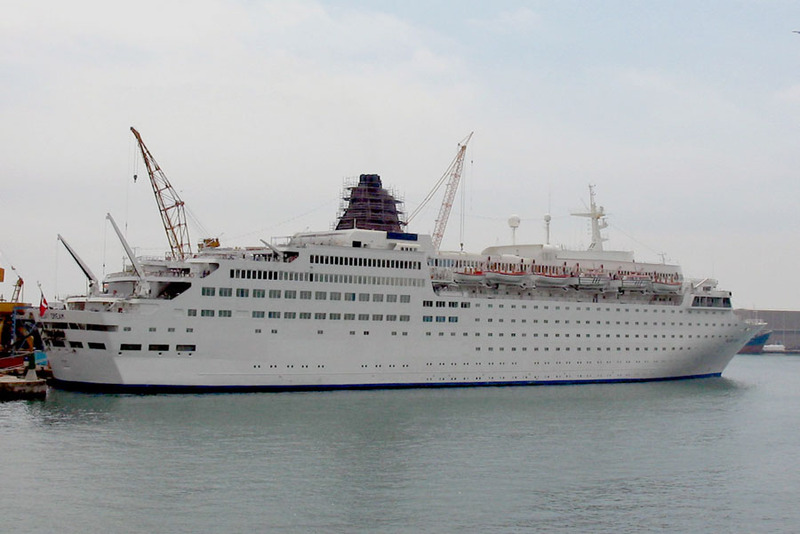 Remained in Valencia for repairs. April 27th 2012: Left Valencia. 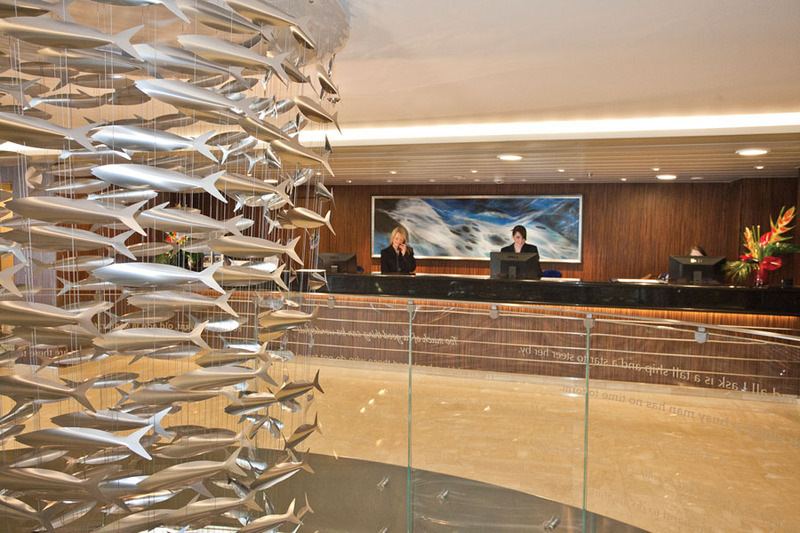 April 29th 2012: Arrived at Gibraltar for bunkers. 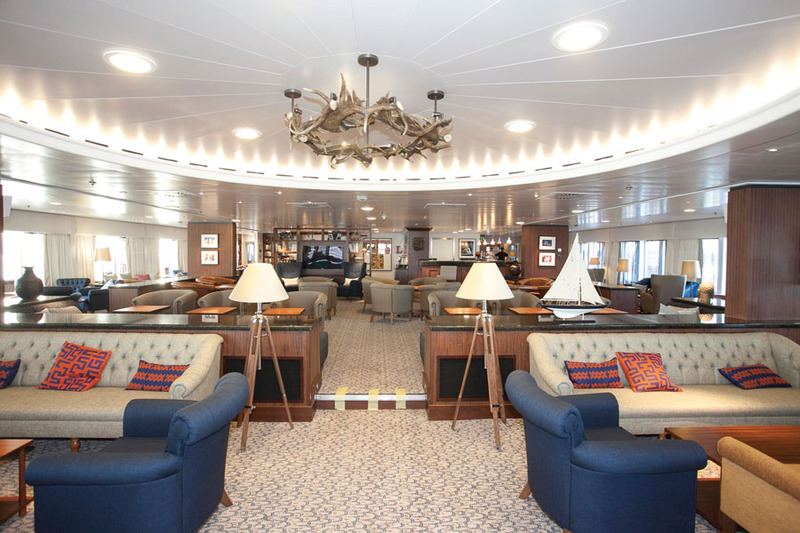 April 29th 2012: Departed Gibraltar. May 2nd 2012: Arrived in Lisbon. 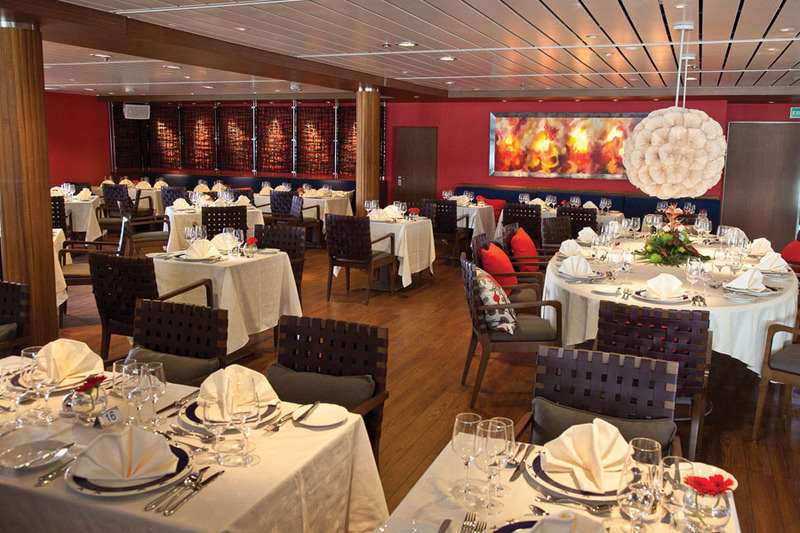 Joined fleet sister ship SAGA PEARL II for the “Gala Welcome”. May 3rd 2012: Left Lisbon. 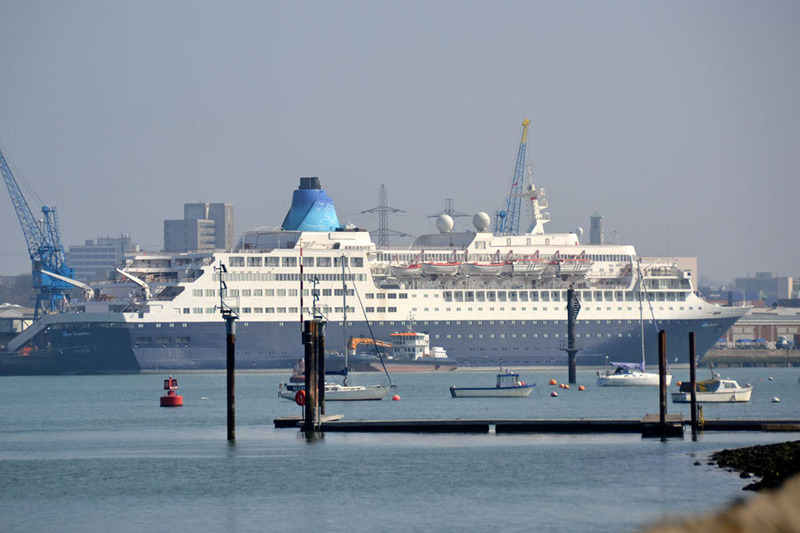 May 21st 2012: Inaugural arrival in Dover. November 15th 2017: Arrived at Lloyd Werdt for refit. 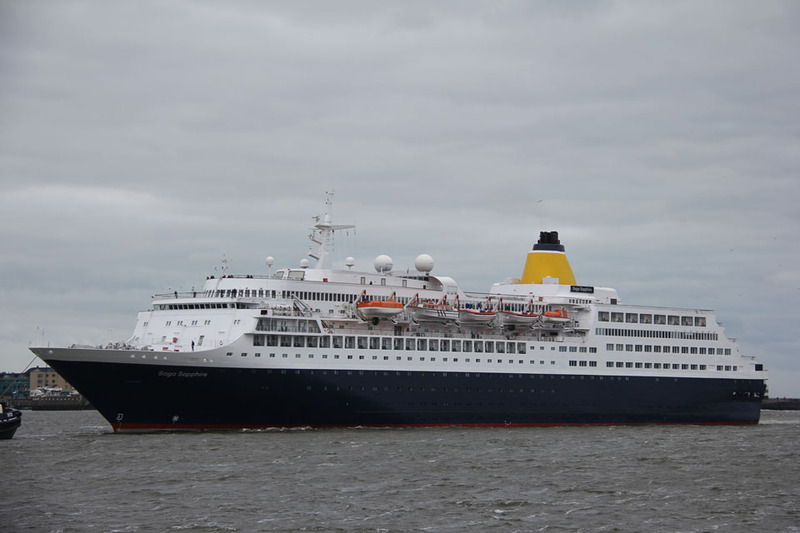 December 2nd/3rd 2017: Arrived in Southampton before sailing to Ijmuiden. 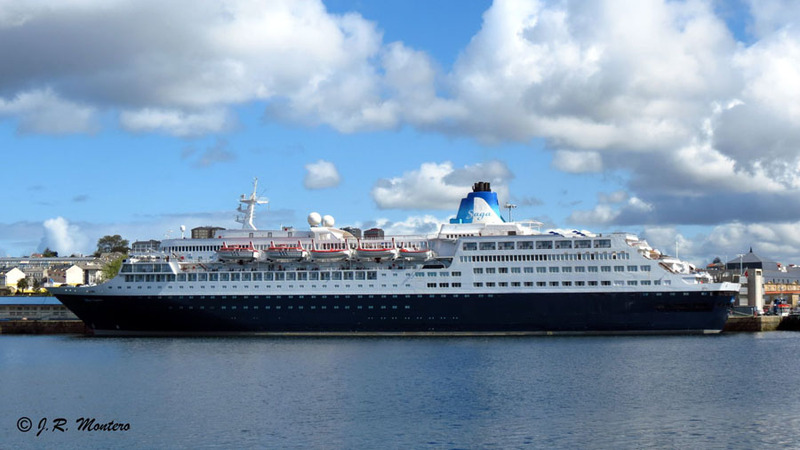 June 21st 2018: It was announced that the SAGA SAPPHIRE would be leaving the Saga Cruises fleet in the Spring of 2020. 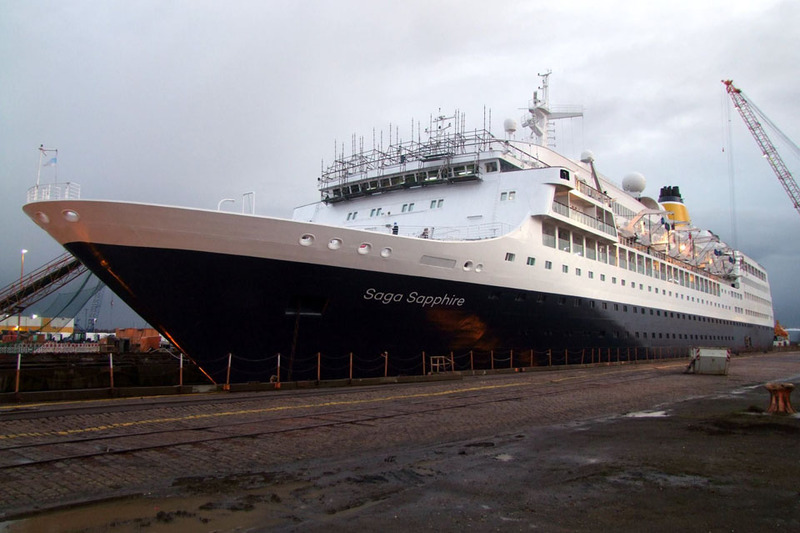 “Saga Sapphire, which has been carrying Saga guests since 2012, is to bow out with an epic 33-night Grand Finale sailing from May 6 to June 8, 2020, immediately after a circumnavigation of the British Isles. 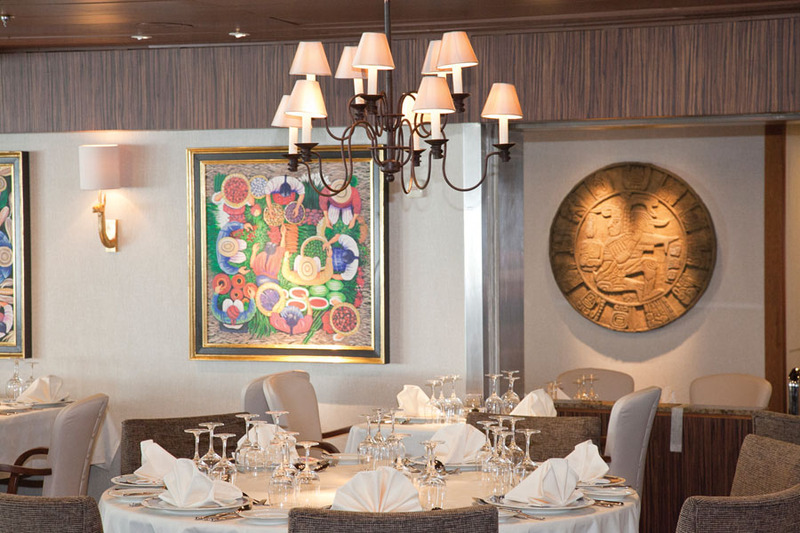 The ship’s farewell tour also features the Baltic, a gastronomically-themed cruise to Europe’s Atlantic coast and Morocco, and a Norwegian fjords exploration. 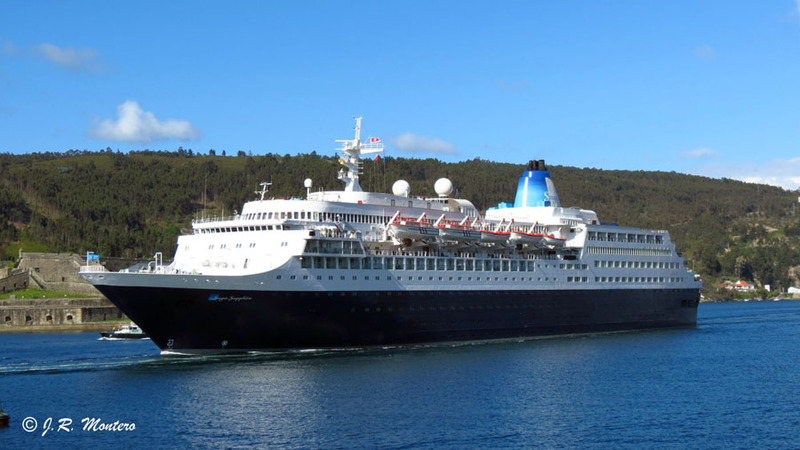 Before her last return to Southampton, Saga Sapphire’s final port of call will be Gibraltar, marking the start of a farewell party for up to 720 guests and 415 crew. 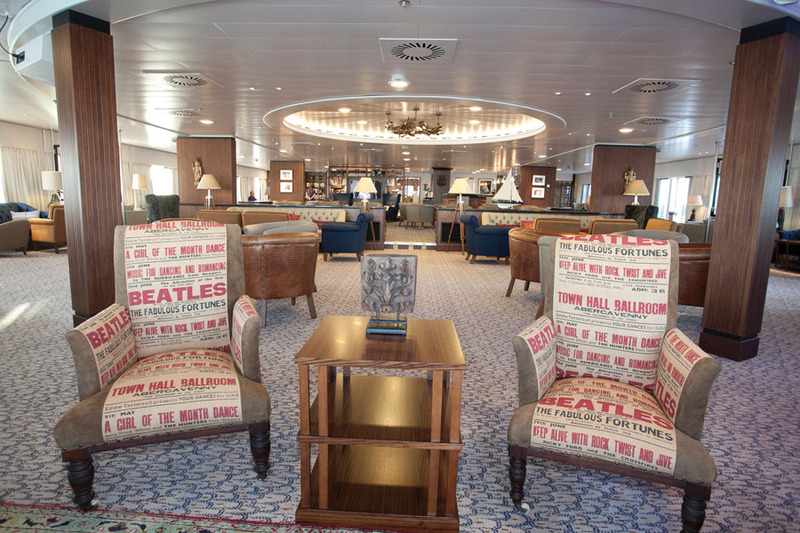 The 15-night British Coast to Coast cruise from Dover visits Newcastle, Belfast and Liverpool, the Orkney and Channel Islands, as well as the Jurassic Coast, with entertainment including a highland feast, talks on the Royal Family, Shakespeare-inspired performances and a Beatles party. 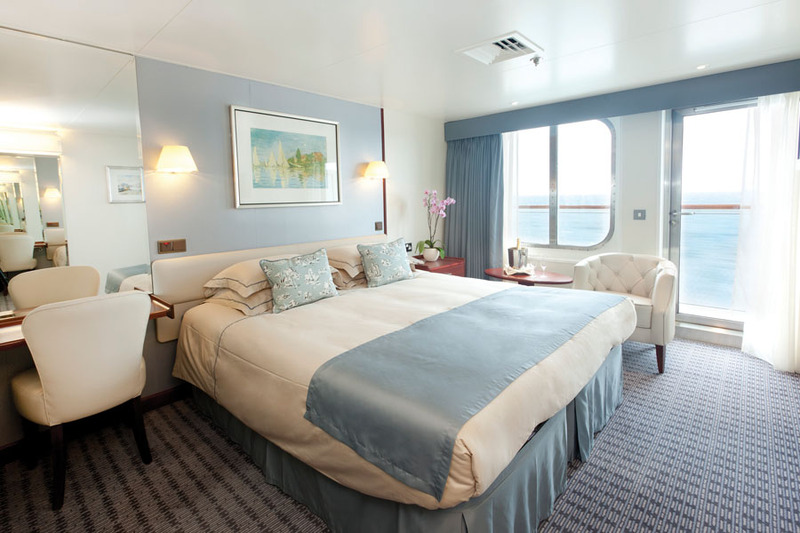 Among the optional tours are a heritage train ride over the monumental Glenfinnan Viaduct and visits to Trinity College, Dublin, and Holyrood Palace, Edinburgh. 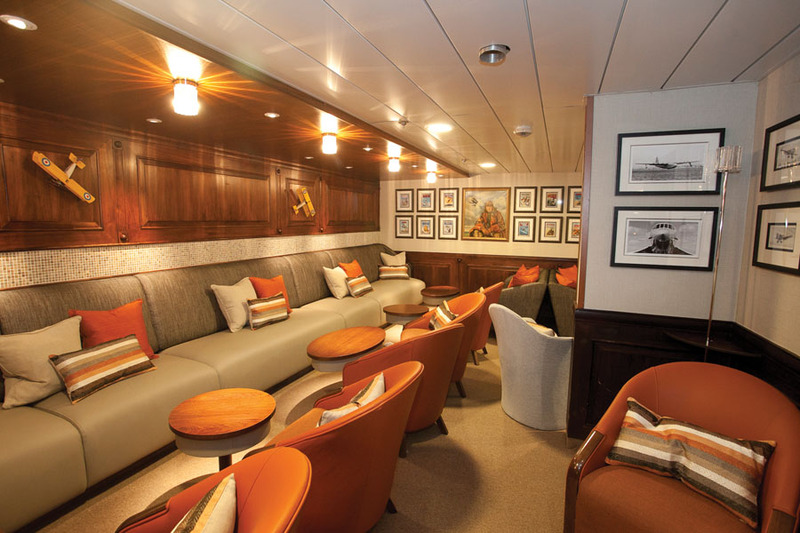 The Scandinavian Vistas cruise of beautiful Baltic scenery features visits to fishing communities, plus film screenings and talks on the Nordic Noir dramatic style, before the ship’s final traverse of the Kiel Canal to Dover. All information is believed to be correct and no responsibility is accepted for any errors or omissions found. All items included in this article are subject to © copyright. We would like to take this opportunity of thanking: Cees Bustraan, Gerolf Drebes, Christian Eckardt Daniel Ferro, Brian Fisher, Yvon Perchoc, Gary Davies (Maritime Photographic), José Ricardo Rodriguez Montero, Willem Oldenburg, Carlos Poveda, Joerg Seyler, and Ken Smith for their assistance in producing this feature. A special thanks goes to Saga Shipping.